This one was harder because the material was already so busy. 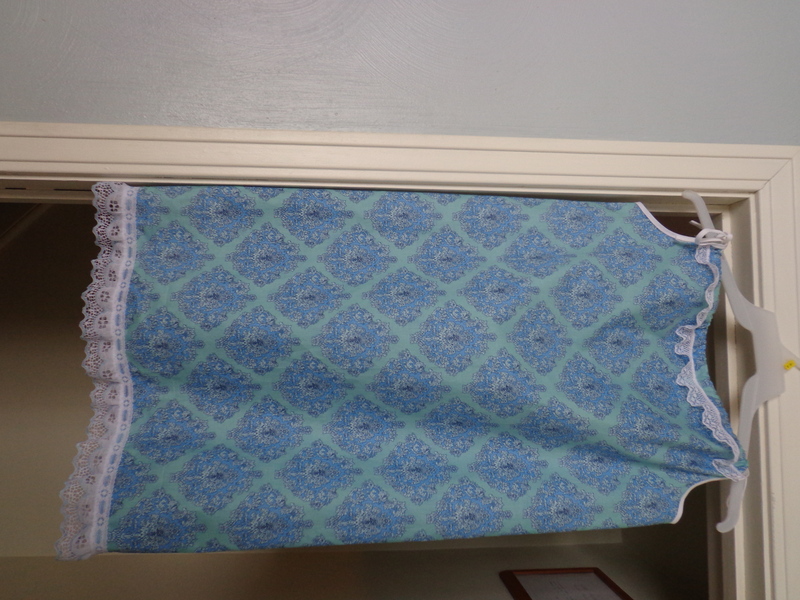 It also didn’t lend itself well to fancy lace. 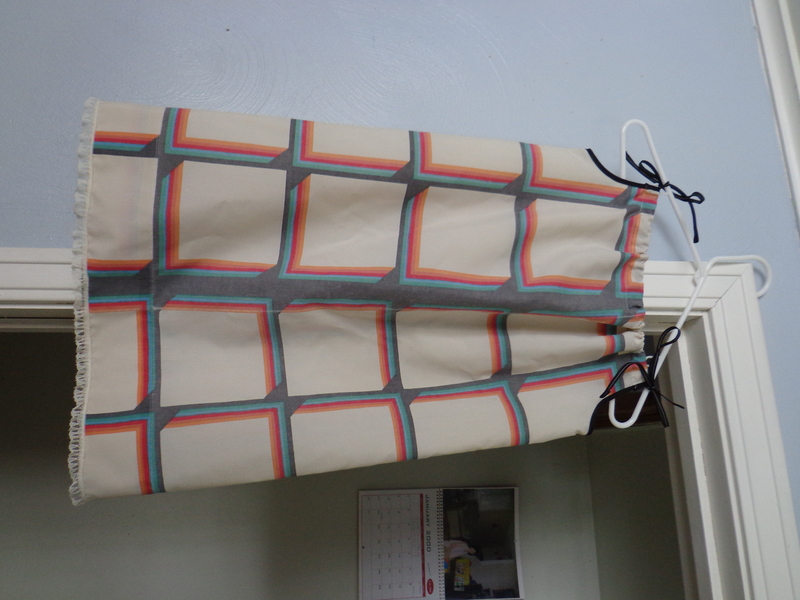 I went simple and just added a touch at the hem and then used black bias tape for the straps. 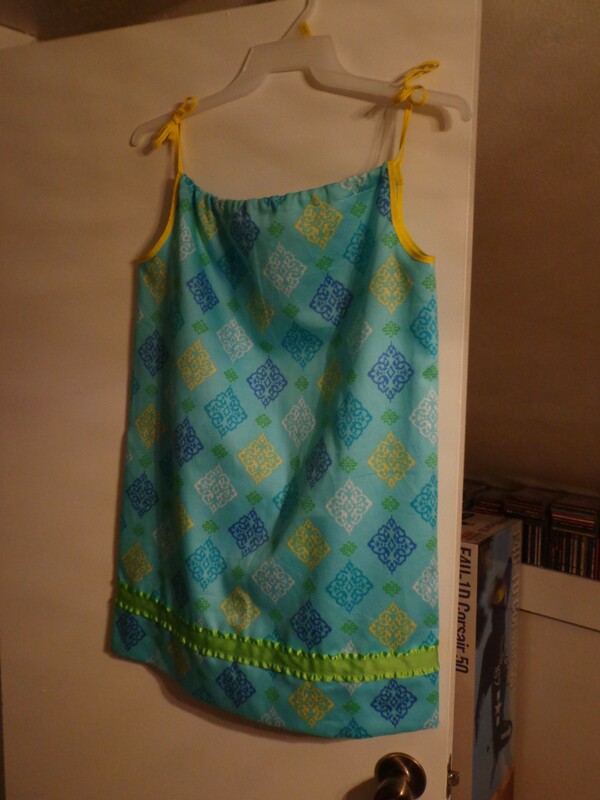 This is the matching pillow case to the other dress that I made in the first batch. I did something very similar, but with different lace. I had purchased some really wide brown lace for this material. I decided to use it at the hem. I think that it gave an interesting look to it. 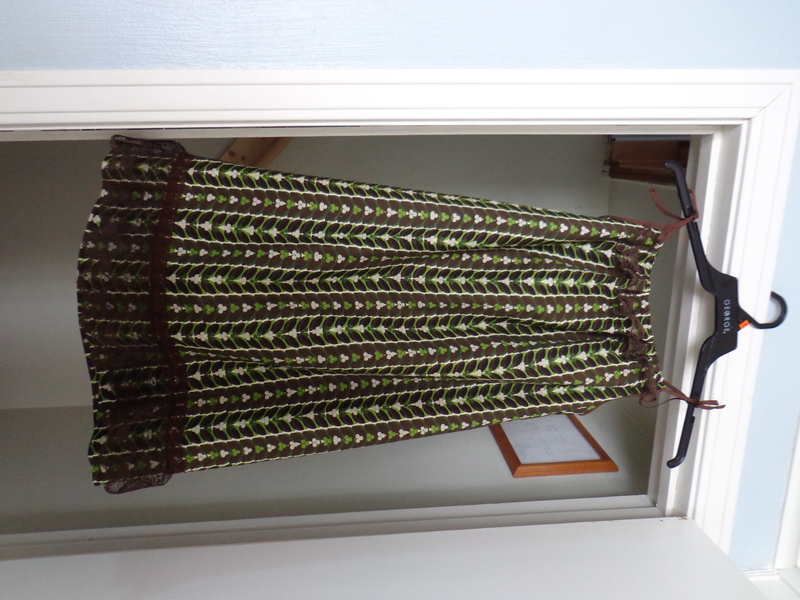 I have more of this material and hope to brighten the next dress up a bit with different trim. I was really looking forward to using this material. 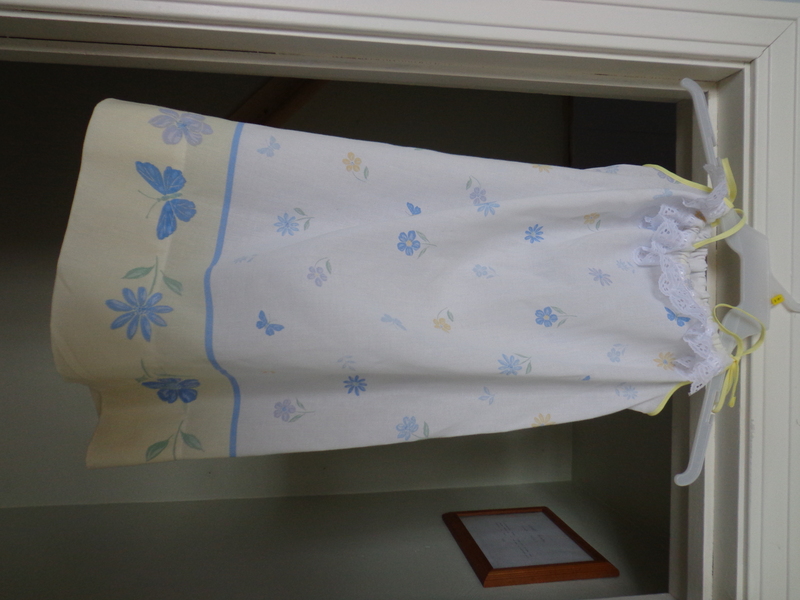 As I was sewing, however, I ran out of white thread and had to use an old spool. I thought it would be okay, but that thread was just VERY poor quality so it got tossed. With the frustration of that I ran out of creative steam and this is what I came up with. The first 8 dresses had been turned in so I figured that I would have more time to work on the next group. There wasn’t a deadline (that I’d been told) so I wanted to do more dresses with the ruffles on the bottom. I really liked the look of the pink dress that I’d done that on. I think that this one really turned out cute. Then I received a call and was asked if I had anymore dresses ready to go. They were going to ship them out in two days, but wanted to have as many as possible. I really only had one more night to work on them, so I did what I could. This picture isn’t the best because I didn’t have a lot of bright light. I prefer to take pictures of the dresses during the day, but that wasn’t an option for this one. I like the brightness of the material, but the lack of time and urgent need really sapped the creative juices out of me. I intend on using more ruffles in the future. 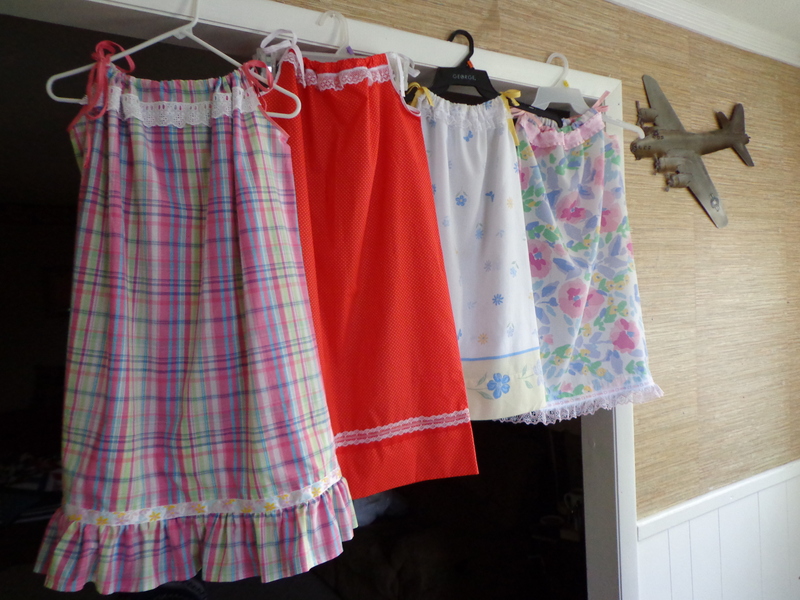 So, those are my dresses so far. 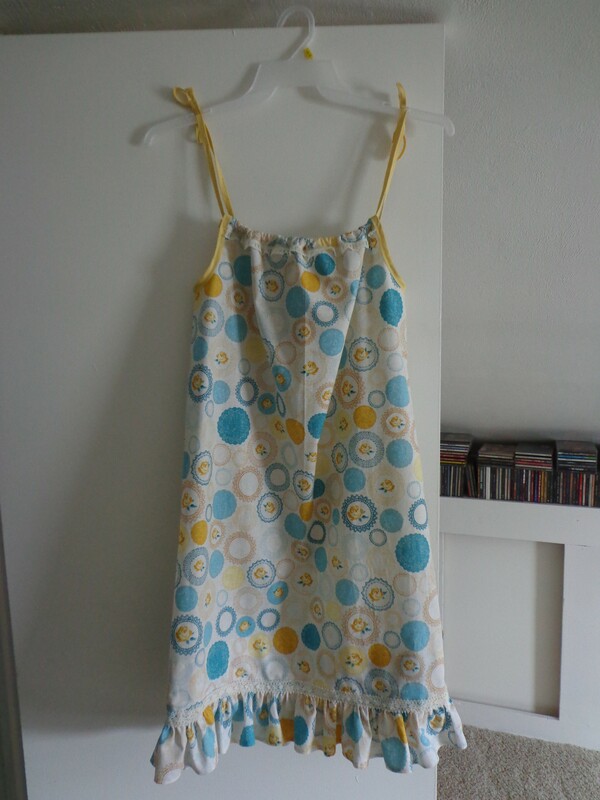 I am hoping to sew at least one dress a week for now until I hear of the next deadline. I need a little bit of time for my cross stitching and piano playing… oh, and blog posting!